Report RSS	Project Temporality wins boot most innovative and best game at the golden chip! 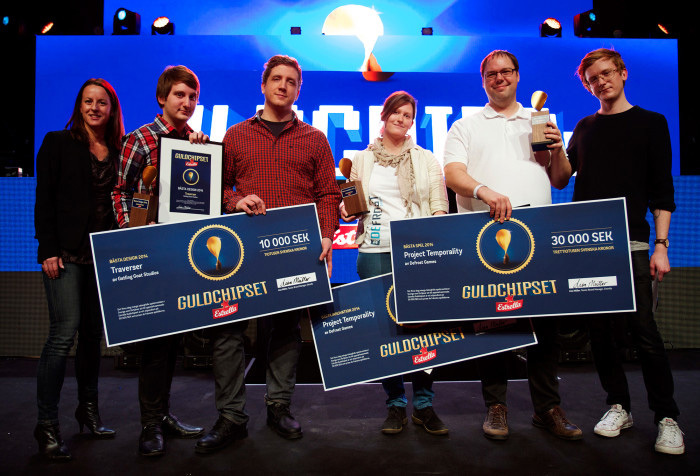 We recently entered a Swedish indie game competition called the golden chip and are immensely proud to say that we have won booth the most innovative and best game categories. 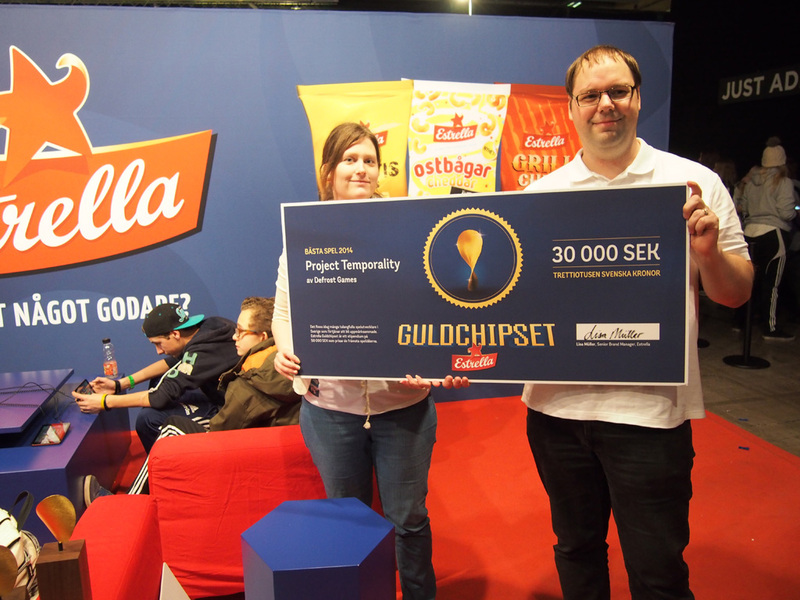 We are extremely happy to announce that Project Temporality has won not only one but 2 categories in the Swedish indie competition the golden chip. This is going to become a yearly competition celebrating the Swedish indie scene and the competition has been running for half a year now. With any Swedish indie developer being allowed to send in their games. So we decided to enter with Project Temporality and 4-5 months later we got a message from the jury asking us for keys so that they could play the game. Just a few weeks later we learned that we have won not only one but TWO of the three categories which was absolutely overwhelming. But not being able to tell anyone was torture. So this weekend we traveled up to Dreamhack to receive the awards and to finally be able to tell everyone. It was a rough day with around 7 hours of travel but it was worth it, standing there on the stage realizing you have won booth most innovative and best game vs some pretty stiff competition in the Swedish games industry was awesome !